Welcome, friends! This is the last installment of my series on vocabulary instruction, and it's all about the A-word. All joking aside, this part of your flow of vocabulary instruction is juuuuuust as important as any other part, even though it can sometimes feel like a pain to tackle. I'm sure you assess your kids' vocabulary learning. And if you're like (the old) me, you probably have students complete some kind of fill-in-the-blank, matching, define-the-word-and-use-it-in-a-sentence type of test to see whether the learning 'stuck,' right? Seems to make sense. If you have a vocabulary curriculum or component in your ELA set, there might even be a set or ready-made quizzes you can use. So simple, buuuuttt, maybe it's a little too simple. The thing is, traditional vocabulary assessments aren't really telling us that much about the actual mastery of the word. Mastering those kinds of tests is really about a child's memorization skills, isn't it? Sure, they can get all of those things right on the test this week, but what about when it comes to using it in their writing next week. We've got to get past providing quizzes that require short-term memorization and move into assessment activities that require more critical thinking and creative use of the words. Well, I have three ideas to present to you (though I'm POSITIVE there are more). One way to up the critical and creative thinking factor on vocab assessments is to create a clause/sentence with the vocabulary word italicized. Instead of ending the sentence with a period, end it with a semicolon and have students write the second clause so that it explains the italicized word. Students write the next clause: the extreme rainfall would have made it very dangerous for them to continue. Students write: now they will be protected from the wind and rain. Since this is a fairly complex thinking task, using only 4-6 words is probably the best idea. This time, you will write different complete sentences with the vocabulary words italicized. Sometimes the sentences should use the word incorrectly, and sometimes they should use the word the right way. Students need to decide whether the italicized word is being used correctly or not and justify their response with an explanation. Vocabulary words are written into a passage, then deleted and left in a word bank. Students choose words from the bank to complete the sentences, using context clues for assistance. How does this fit into a differentiated classroom-- will I have to create 30 different tests? The short answer is not really! You should be able to create one test for each list of words provided to the students in your class. If you've given your class three or four different lists of words, yes, you'll need to create a three or four different tests. But you really only need to choose the most important 4-6 words from each list and test on those. It's more work initially, but once they're created you can reuse them for years to come! 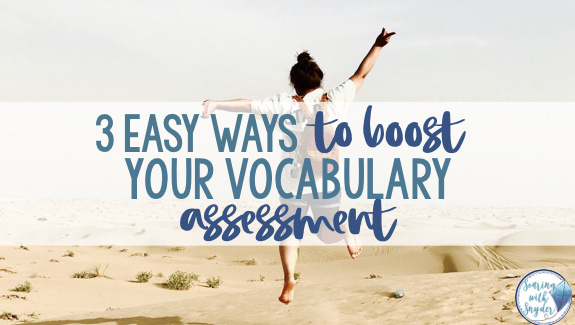 One fun (and potentially time-saving) way that you can put a twist on these assessments is to allow students to submit their own clauses, sentences, or passages to be used for the assessments. You can choose from the submissions and use those for the quiz. Of course, students will need lots of practice writing the passages, sentences, and clauses to be meaningful, but this provides students with a big motivator and an authentic audience for writing, so it seems like a win-win to me! As with anything new in your classroom routine, children should have plenty of opportunities for practice and be witness to lots and lots of modeling for these vocab strategies. 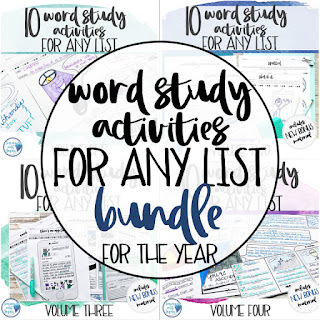 You should feel confident by the time they are completing these activities on their own that students are truly showing their vocabulary learning and not getting hung up on directions or task complexity. If you haven't already, be sure to stop and check out my other posts on pre-assessing vocabulary, instructional strategies, or learning activities, you can read them here (they're the first four posts on the page!). P.S. Creating fun and engaging (research-based) vocabulary activities is no small task. If you're ready to try something new but don't have the time to create them yourself, be sure to check out this resource. There are 36 unique and fun (and research-based) learning activities that students LOVE to complete. 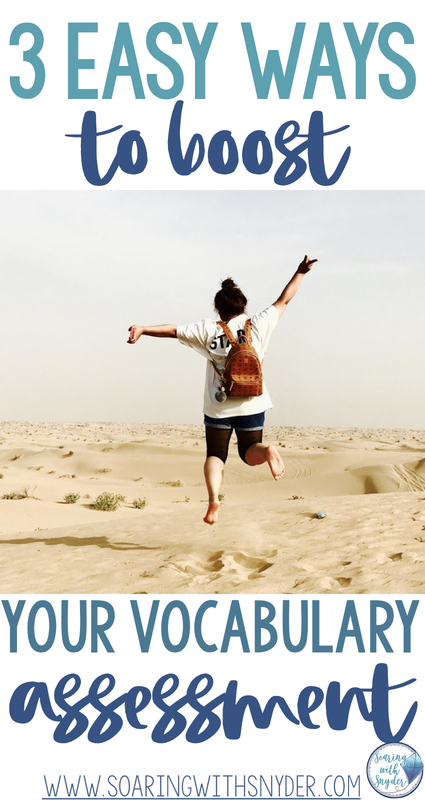 Click the picture if you're interested, and be SURE to go back to my last vocabulary post here to get a free sample of three of the activities to try for yourself before you invest.